You don’t have to drive too far in Mandeville, LA, to see your share of SUVs on the road, but have you looked into INFINITI QX60 pricing? This SUV takes it up a notch with top-of-the-line performance, comfortable and convenient features, and excellent reliability. You’ll love the way this vehicle not only helps with your everyday needs but is the perfect option for long trips and adventurous outings. The QX60 offers options with gas engines or exciting hybrid models. Both come in either front-wheel drive or all-wheel drive choices. When you take advantage of INFINITI QX60 pricing, you’ll get an SUV that seats seven people comfortably and has continuously variable-speed automatic transmission. The hybrid model has an inline 4 engine, while the gas engine model has a V6 engine. It’s easy to see why so many people in Mandeville, LA, choose the QX60. It has ample storage space, not only for routine items such as groceries but for luggage, camping gear, outdoor equipment, and a host of other belongings and materials. It has 76.5 cubic feet of maximum cargo space and 15.8 cubic feet of cargo space with all the seats in place. It has an EPA interior volume of 165.6 cubic feet and can tow up to 5,000 pounds. With new INFINITI QX60 pricing, you’ll have several exterior and interior color options. You can pick something that suits your preferences. Exterior colors include black obsidian, graphite shadow, hermosa blue, and majestic white. Your interior color choices are high contrast wheat, graphite, and java. The leather seats add a nice touch to an already beautiful vehicle. Speaking of seating, everyone in your QX60 should have plenty of room to move around and spread out as you drive in Mandeville, LA. The driver’s seat has eight-way power adjustments, while the passenger seat has six ways in which you can adjust the seat. There are also multilevel heating capabilities in these bucket seats. You’ll enjoy 40.7 inches of headroom, 60.3 inches of shoulder room, 42.3 inches of legroom, and 56.8 inches of hip room. The numbers are similar in the back, but you also have manual folding split-bench third-row seats. Your passengers will also like the reclining seats in the back. 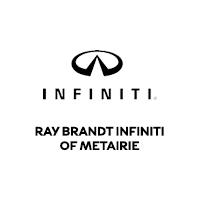 Come to Ray Brandt INFINITI today and look at INFINITI QX60 pricing options. The team will make sure you feel good about your selection and that you can drive home the right SUV to Mandeville, LA.